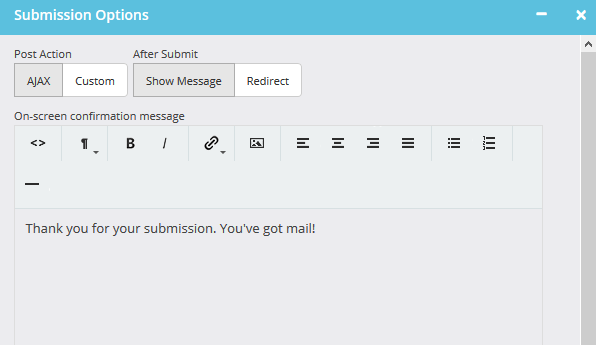 These option give you the ability to choose what happens when a form is submitted. AJAX form submissions are the prefered method as you dont get page refreshes and have the ability to simply display a message after the form is submitted. If you have your own code that can process form submissions send emails and store the data then you can use a Cutstom method. NOTE: Submit options can be different from form to form.